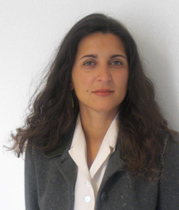 Elena Ferrari is a full professor of Computer Science at the University of Insubria, Como (Italy). From 1998 until January 2001, she has been an assistant professor at the Department of Computer Science of the University of Milano (Italy). She received the MS degree in Computer Science from the University of Milano (Italy) in 1992. In 1998, she received a Ph.D. in Computer Science from the same university. During summer 1996 she has been a visiting researcher at the Department of Computer Science of George Mason University, Fairfax (Virginia). During summers 1997 and 1998 she has been a visiting researcher at Rutgers University, Newark (New Jersey). Her research activities are related to various aspects of data management systems, including web security, access control and privacy, multimedia databases, and temporal databases. On these topics she has published more than a hundred scientific publications in international journals and conference proceedings. She gave several invited lectures and tutorials in Italian and foreign universities as well as on international conferences and workshops. Dr. Ferrari has served as Program Chair of the 4th ACM Symposium on Access Control Models and Technologies (SACMAT’04), Software Demonstration Chair of the 9th International Conference on Extending Database Technology (EDBT’04), Co-Chair of the first COMPSAC’02 Workshop on Web Security and Semantic Web, the first ECOOP Workshop on XML and Object Technology (XOT 2000), and the first ECOOP Workshop on Object-oriented Databases. She has also served as Program Committee member of several international conferences and workshops. Prof. Ferrari is in the Editorial Board of the VLDB Journal and the International Journal of Information Technology (IJIT). She is a member of the ACM and senior member of IEEE.